We are sewing machine professionals, not just another internet retailer. Please call 1-800-300-4739 about current promotions, interest-free financing, and our low price promise on this model and all the machines we sell. The BERNINA 530 boasts an extensive repertoire of utility and decorative stitches whose properties can be individually set. Stitch length and width, as well as 11 different needle positions, can be freely modified, and either temporarily or permanently saved to the 530’s memory. 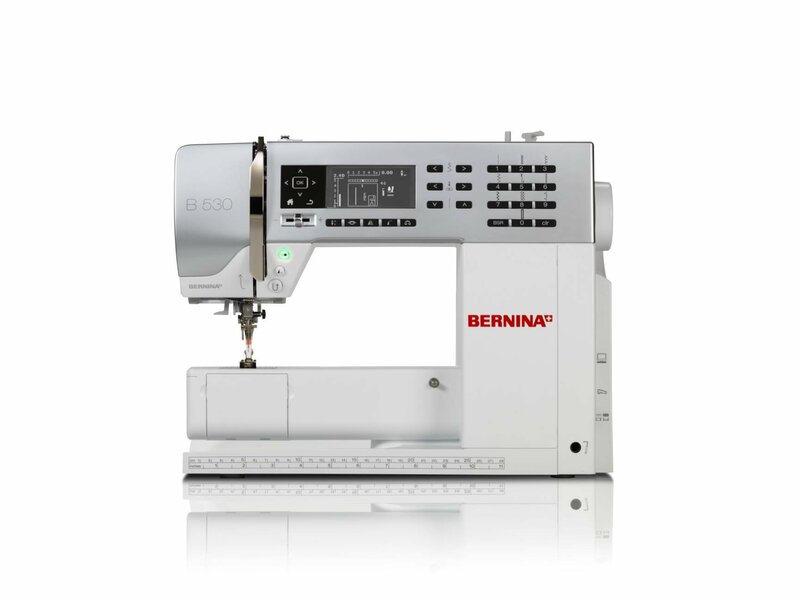 The BERNINA 530 is therefore up to the challenge of a wide range of tasks and provides you with optimum control over your sewing projects. Stitch parameters can be individually matched to the fabric and the intended effect so that you always achieve your desired result when sewing and quilting. The BERNINA 530’s clearly laid-out control panel enables quick access to all stitch patterns and settings, including reverse and mirror function, manual or automatic buttonhole, and much more. Clever, practical and flexible – the ideal sewing machine for ambitious sewers.